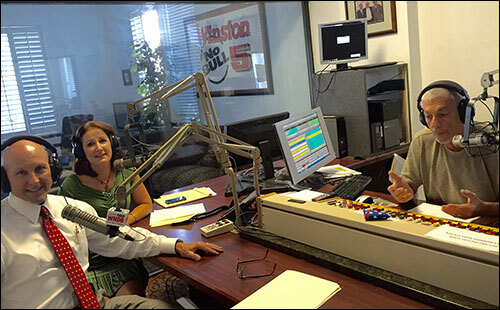 Paul Rice of the Rice & Rose Law Firm was a featured guest on the Anchor Certified Planners radio show on WNDB 1150 AM on September 9, 2015. Laurie Taylor, an investment advisor and certified divorce financial planner with Anchor, hosted Mr. Rice and Dr. Barbara Kelly to discuss the collaborative divorce process. Collaborative divorce is a movement underway in the United States whereby divorcing couples, their attorneys, a neutral financial expert and a neutral mental health expert all sign an agreement to work together to find an amicable out-of court resolution to all issues in their divorce case. If either party decides they want to opt out and go to court, then both attorneys and the neutral experts must withdraw completely from the case and cannot go to court for either party in any capacity. The goal of the collaborative process is to achieve a mutually agreeable resolution without the stress and expense of protracted court proceedings. While collaborative divorce may not be for everyone, it should certainly be explored by everyone before litigation is initiated and relationships are permanently damaged. To learn more about collaborative law, call the attorneys at the Rice & Rose Law Firm at 386-257-1222.